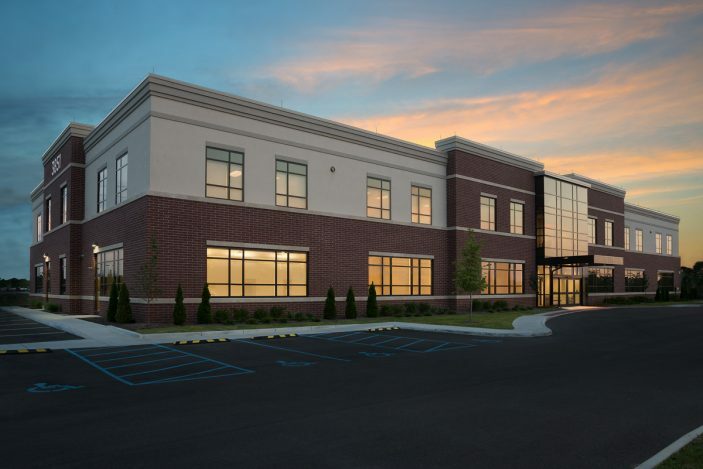 The Oregon Medical Office Building is a joint partnership between Mercy Health and other local physician groups, located in Oregon, Ohio, near Toledo. All tenants had the same challenge: maximize the use of their space. The first floor is complex with a shared waiting area and required flow into the three patient clinics. 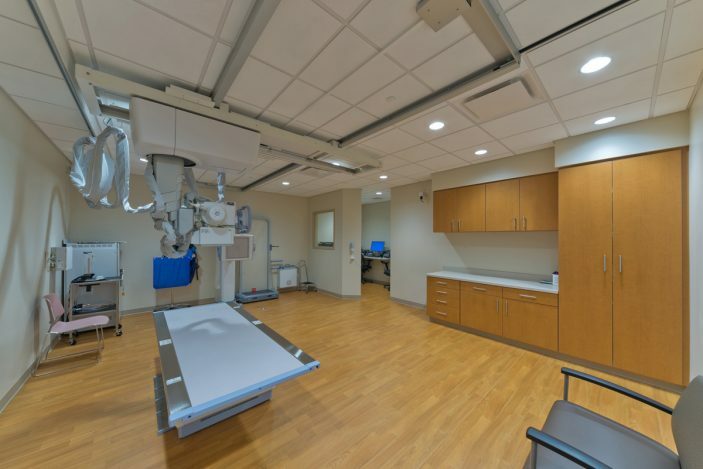 The X-ray, MRI, and CT all need to be easily accessible, yet separated from the rest of the space. 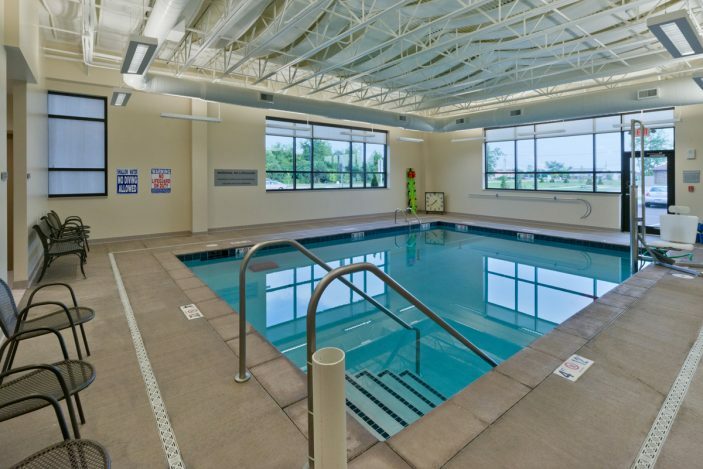 The Lab requires a short walking distance, while Physical Therapy is in need of the most square footage for the pool, the open gym, and the private exam rooms. 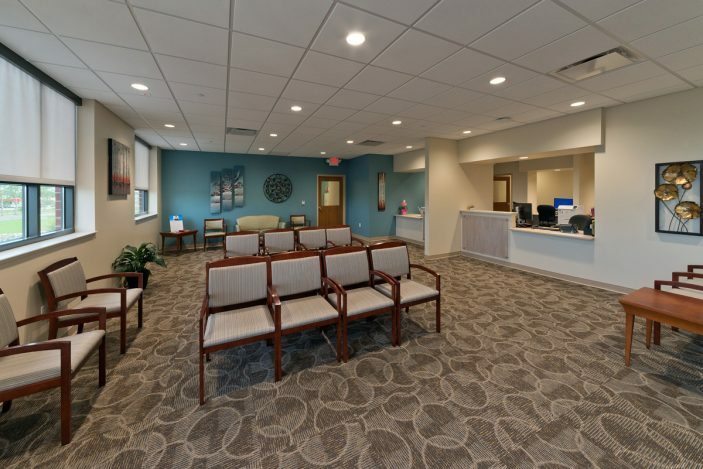 All three clinics share building amenities, such as staff locker rooms, conference rooms, and the break room. 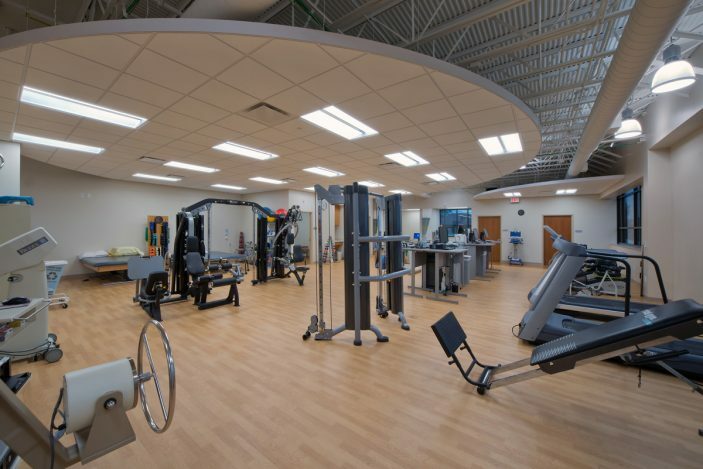 The second floor is equally as challenging with all the varying needs of the 6 different tenants ranging from Family Medicine to Cardiology. 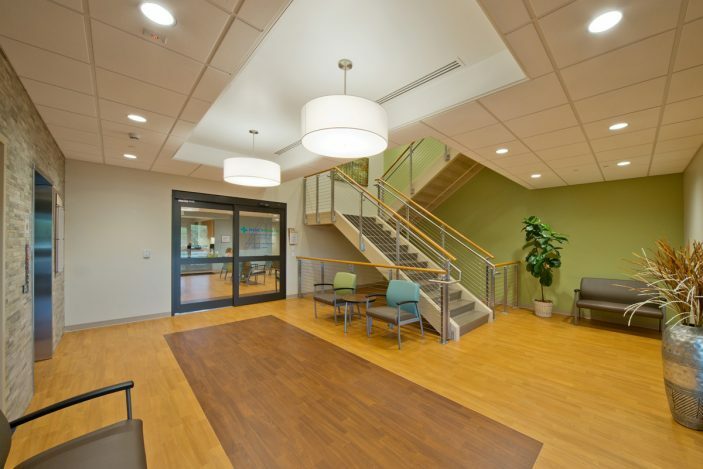 The main entry stair is open and inviting to draw patients upstairs. All tenants need their own front doors and shortest walking distances to the building entry. The check-in and check-out flow is critical in each space, as well as the separate staff entrances. The nurse stations are easily accessible to all exam rooms to improve patient care.